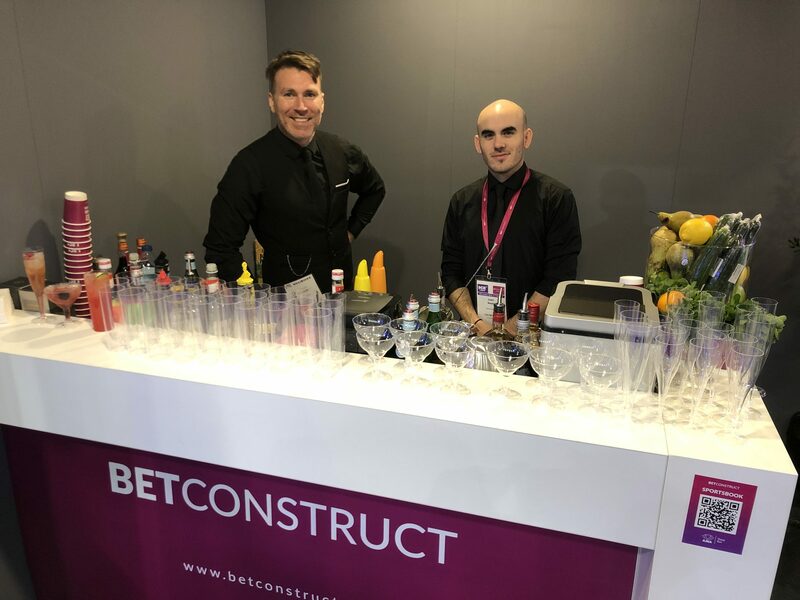 It was our third year supporting successful Armenian bookmaker BET Construct at the ICE Gaming exhibition in the ExCel in London and this time around our multiple bars for hire service was called into action. In previous years we have provided a number of flair bartenders and mixologists to man a built in bar – that was part of the exhibition stand. This year however, BET opted for a different strategy, calling on our multiple bars for hire service to deliver three separate mobile bars for hire. Our multiple bars for hire service ensures you are supplied with the exact amount of mobile bars you need for your event, be it three or thirty, at preferred pricing. The ICE Gaming Expo is known as the largest international business event in the world for gaming. 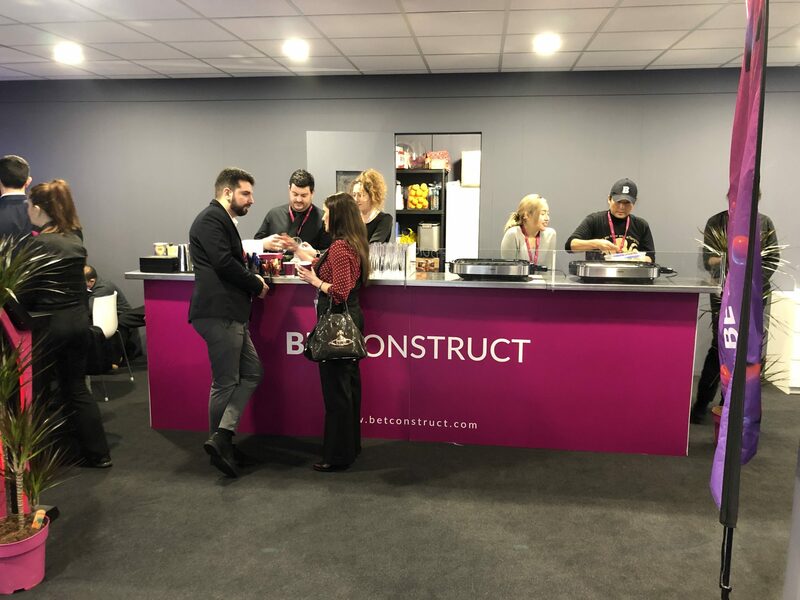 Many bookmakers and online casinos attend the event where hundreds of new products are launched over the three day period – this year saw over 33,000 people in attendance, many of which passed through the BET Construct stand and our mobile bars. A meeting of all major players in the gaming industry including operators, regulators, and directors, the event provides a fantastic platform for gaming companies to forge new relationships and acquire new business. 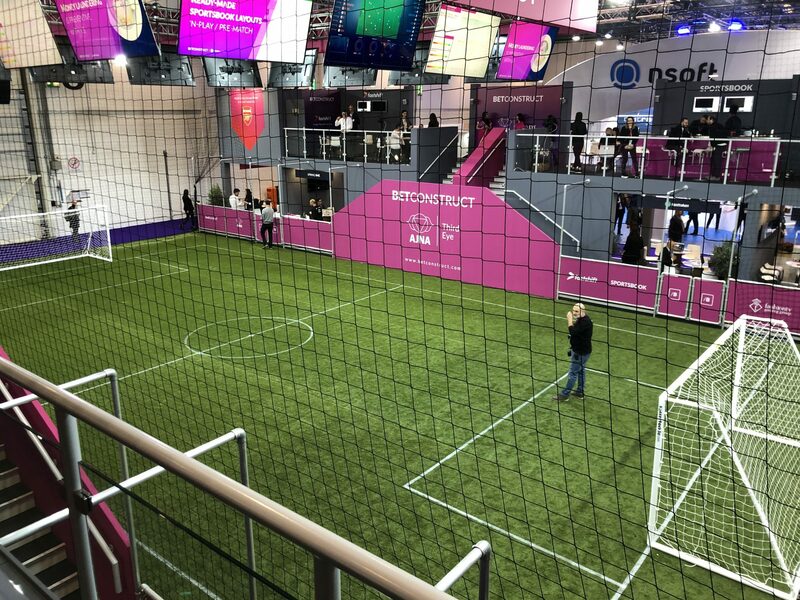 With so many exhibitors and attendees it is important, more than ever, to make sure your stand is worth visiting – by offering multiple bars, with eight mixologists working across them and a five-a-side football pitch; BET certainly achieved that again this year. But it wasn’t all fun and drinks, there was food too! The client wanted to have a Japanese chef producing Takoyaki on the end of one of the our mobile bars. Not only did we help the client make this happen, we also customised the bar to build in a poly-carbonate guard around the edge to ensure that nobody burned their hands on any of the hot kitchen utensils! 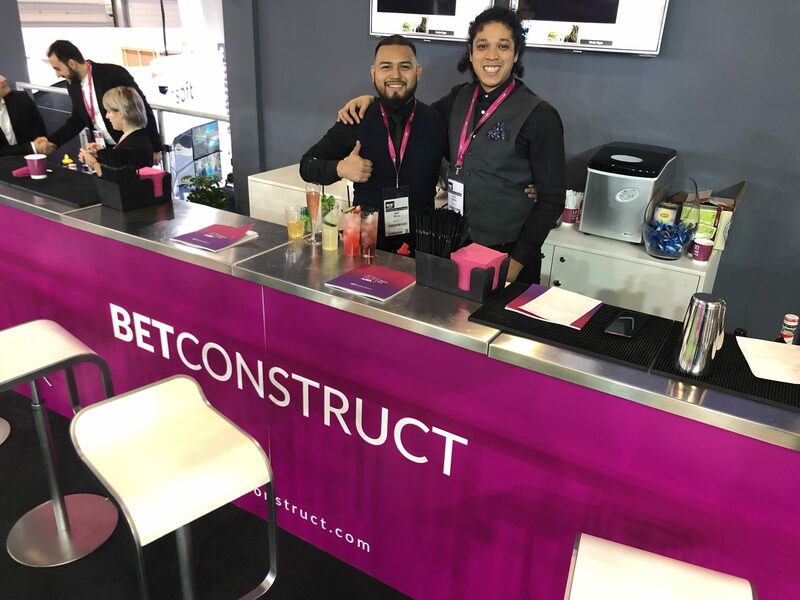 It was important that our bartenders were not only capable but also able to entertain and act as hosts on the exhibition stand; tactfully keeping potential customers occupied until one of the many BET representatives became available to engage with them. The variety of treats we had on offer certainly helped. In addition to Takoyaki, our talented team of bartenders were also serving a range of cocktails, hot drinks and Armenian brandy – produced in the home country of the client BET Construct. If you are interested in our multiple bar hire service, mobile bars for exhibitions of any kind, flair bartender hire or anything else – then please do not hesitate to drop us a line.